The Miami Dade condo market held steady this past week. There were 123 sales for a total sales volume of $64,271,408. The average price for a condo was $522,531.77, or $370.81 per square foot. 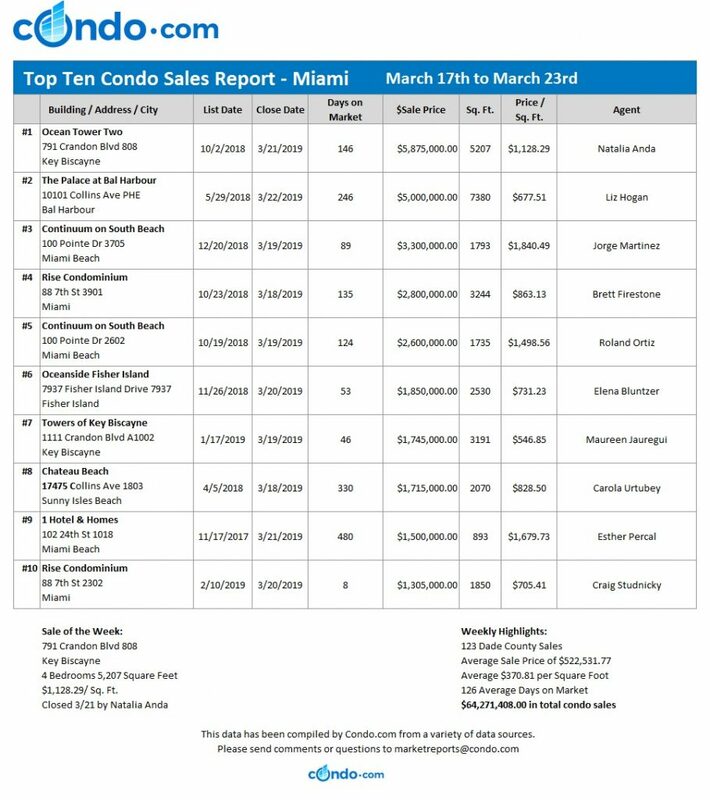 Miami Beach was the top city, reporting 23 transactions for $14.652 million. Miami followed with 38 sales for a total of $13.838 million. Key Biscayne had 4 closings for $8.764 million. The top condo sale of the week was a spacious unit at Ocean Tower Two on Key Biscayne. This four-bedroom, 5,207 square foot property at 791 Crandon Boulevard sold for $5,875,000, or $1,128.29 per square foot. Natalia Anda sold this condo after 146 days on the market. The Miami Dade condo market is expecting a great week to close the month.